How should I create a budget for myself? Making a budget can help you in many ways like streamlining your expenses and making you more disciplined with your money. It also helps you keep a tab on unnecessary spending and save more. BUDGET. A single word that carries so many emotions. Some dread the word. Others fear it. While yet others just love to do it. But what is more difficult than making the budget is the time spent deciding if you should make it or not. Making a budget can help you in many ways like streamlining your expenses and making you more disciplined with your money. It also helps you keep a tab on unnecessary spending and save more. So if there are so many benefits of having a budget, would you really still want to resist it? If your answer is no, follow the steps given below and create a comprehensive budget for yourself. Asking for bills and invoices helps you keep a track of all your spending. It also comes in handy while making thebudget as you can review your spending easily with these bills. For expenses that might not have a proper bill, try and record it in your diary or a book especially for this purpose. The more you are aware of your spending, the easier making a budget would be. To make a budget effective, some tough decisions have to be taken. A long-term goal would ensure that you get the required motivation to meet the goals. As for short-term goals, these work as incentives that keep you on track with your budget. 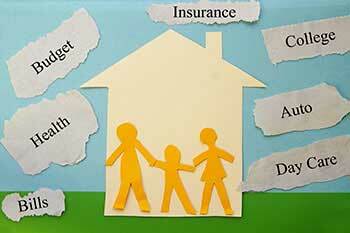 Meeting short-term goals along with long-term goals can be the ideal mixture for your budget. Have concrete plans on how you would pay off your debts. You can use your income, credit card and debit card for this purpose but do it in such a way that it doesn’t lead to more debt. Many people do the mistake of carrying debt to the end of the month where they don’t have enough to pay for it. Therefore, auto-debit your debt payments once you receive your salary. It will make life easier towards the end of the month and you wouldn’t have to worry about it then. Same goes for savings as well. Saving your savings auto-debited will save you the trouble of manually doing it every time. It would also help control your urge to spend the money if it is automatically transferred into savings. This is the next important step that people tend to skip. Making a budget might not be as easy for everyone and that is completely fine. You can, however, take help from professionals. They would help you analyze your needs and set goals. This would then come in handy while preparing your budget and even adhering to it. Adjustments are a part of life and finances are no exception. You might have made a fool-proof plan that might have worked for quite some time now. But what if an emergency strikes? Or what if you find something that you really like and are getting a great time-bound deal on it? At such times, don’t resist the urge of making necessary adjustments in your budget. But make sure these are unavoidable circumstances that you won’t regret adjusting for. That way you wouldn’t have to be too rigid with yourself and get all the benefits of having a budget too. Making a budget is not a rocket science. All you need is a little bit of commitment and self-awareness and your budget would be ready to help you in all your decisions. 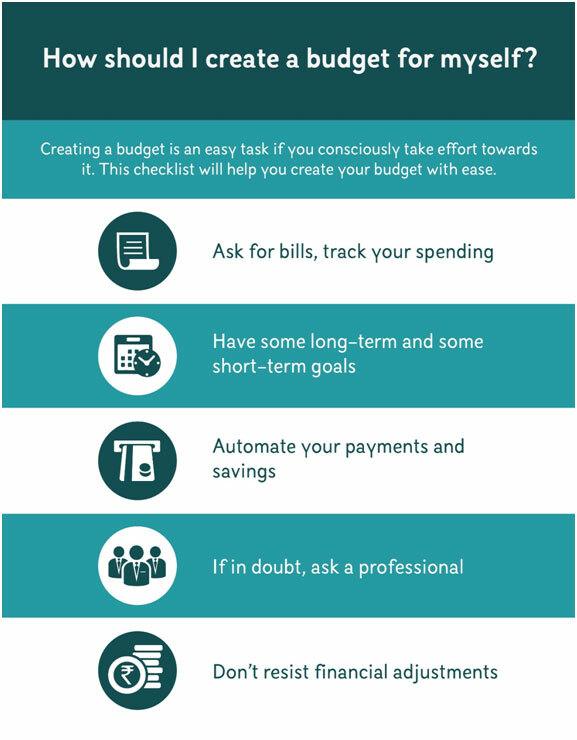 So what are you waiting for, use these tips and create a budget for yourself today.